Do you remember your first back to school experience as a parent? I certainly remember mine! And I must say, it was awful. First and foremost, I was an emotional wreck! How on earth had my child gotten big enough to start school? Was I not just bringing him home from the hospital yesterday? How had he grown up so fast? And if the emotional aspect of back to school wasn't difficult enough, the preparation for the big day certainly didn't help either! What did we need for back to school? What brands were the best? Where did I shop to get the best deals? Where do I even begin? Somehow, we managed to get through that first first day of school with minimal hair loss...and now, 5 years later with my handsome second grader, we've got this back to school routine down. We've learned how to go back to school like a boss! We've all been there. Summer is going great, you don't even want to THINK about back to school shopping! The next thing you know, it's the weekend before the first day of school and you find yourself in a rush to get it all together! The stores are packed full, supplies are running out and it's 100 times more stressful than it needs to be! So, while none of us WANT the summer to end, don't let that push you to put off back to school shopping. The sooner you start, the less stress and the more you can TRULY enjoy those final days of summer! The last thing you want to do is make another last minute trip to the store after realizing that you've forgotten something or bought the wrong thing, so it's always best to double check before leaving the store. Be sure to take notice if a particular size, style or brand is specified as well. School supply lists for some schools can be quite extensive, so you want to be sure you're not spending any more money than absolutely possible. The great news is that with back to school comes back to school sales! Take advantage of the sales to keep school supply shopping from breaking the bank! We often think that shopping at multiple stores will allow us to take advantage of all the best sales, but honestly, sometimes it just causes more stress. It takes more time, more planning and leaves you more likely to forget something. So getting all your back to school shopping in one easy spot is a must. Thankfully, Walmart has everything you need to get you back to school ready at an everyday low price! Their school supply deals are some of the best (and don't forget their price match guarantee), and you truly can get EVERYTHING you need for back to school in one place- clothes, shoes, supplies, backpacks...even food for the lunchbox! 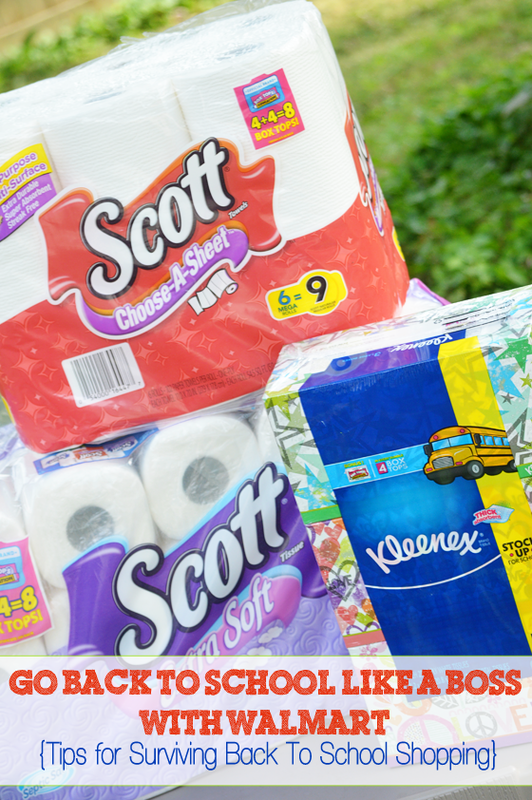 And while you are doing your back to school shopping, you can stock up on other essentials for school AND home, like Kleenex, Scott Toilet Paper and Paper Towels...to name a few! Another thing us Boss Moms know is that when school starts up, our schedules get crazy! Stock up now, and you won't have to worry about it then when the inevitable busy-ness, colds and messes kick in! 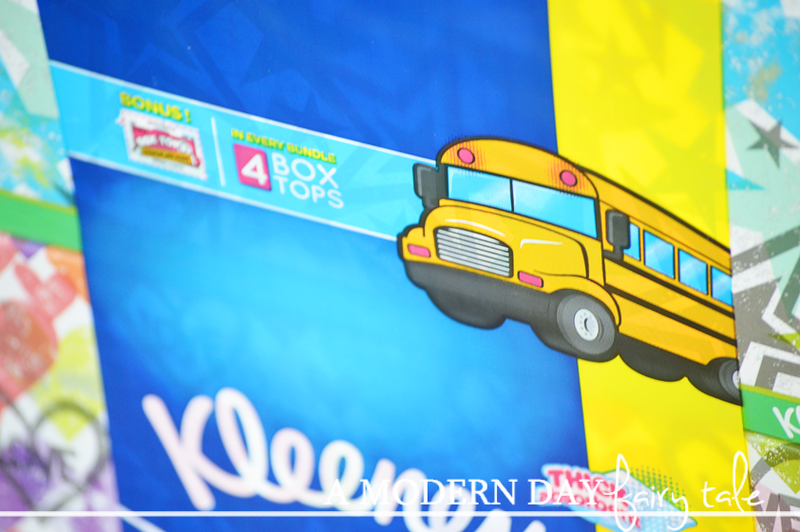 Plus, when you stock up on these great products, you can get a head start on collecting Box Tops for Education for your child's school with double box tops! Not only do schools receive 10 cents per box top turned in, but many schools offer fun incentives like pizza or ice cream parties to the classes that collect the most!! Everything under one roof, great prices, earning money for the school and rewards for our kids? Is it truly any wonder why Boss Moms choose Walmart to shop for back to school and stock their homes? 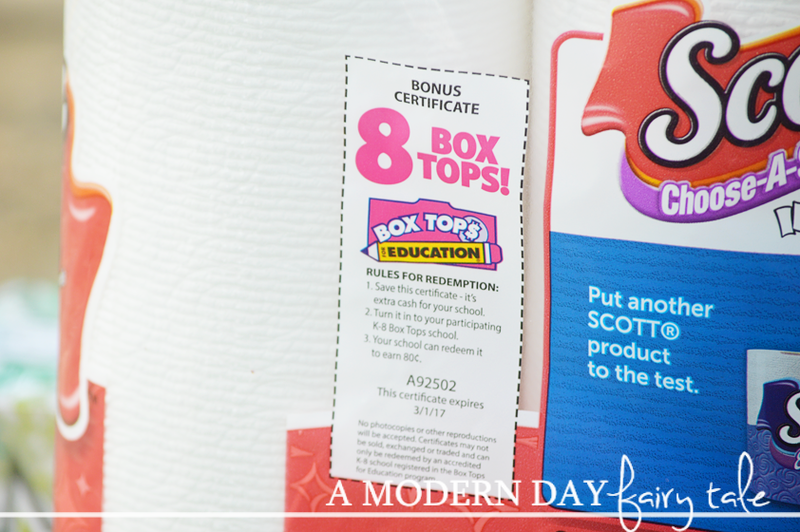 Click here to learn more about how you can earn Box Tops for Education and stock up at Walmart! 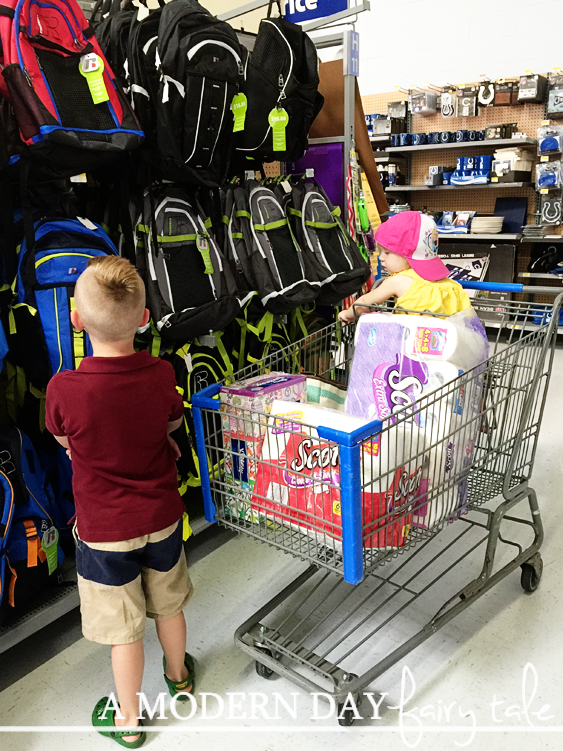 Do you have tips for surviving the back to school shopping season? 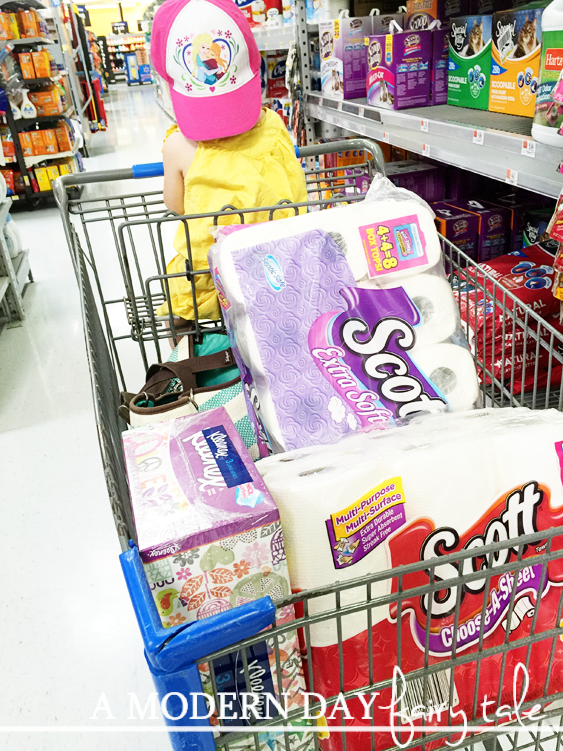 How can Walmart help YOU get back to school like a boss and get a head start on your Box Tops this year? This year, I started early with our back to school shopping. So glad I did! We homeschooled for Kindergarten so I didn't have quite the shock when the oldest started school. And I don't remember much about how I felt when he ended up going to public school. We got our shopping done tonight and surprisingly I was able to get everything at Walmart down to the exact requested scissors! We got that particular Kleenex package, too. We've been saving up Box Tops all summer and that will add to our collection nicely. I don't go shopping at Wal-Mart very often because we don't live close enough, so I always have to have a plan when I go there. I always get our supplies early, before the rush. Then our clothes we buy out of season to get the best deal.